This article is part of the Center for Media and Democracy's investigation of Pete Peterson's Campaign to "Fix the Debt." Please visit our main SourceWatch page on Fix the Debt and the Pete Peterson page. Fix the Debt is led by the president of the CRFB, Maya MacGuineas. Erskine Bowles, and Alan Simpson are listed as its "founders." Michael Bloomberg, Judd Gregg, and Ed Rendell are listed as its "co-chairs." There is an 11 member steering committee. Fix the Debt biographies of the organization's leadership largely fail to mention the ties its leaders have to major U.S. corporations, and they fail entirely to disclose that those corporations lobby on deficit related issues, such as corporate tax breaks. Below we list those corporate and lobbying ties and other information about these leaders relevant to the public discourse on Fix the Debt. For a table of 12 of these 19 leaders and their undisclosed ties to corporations lobbying around federal tax and spending issues, please visit the table of Fix the Debt's Leadership here. 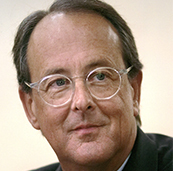 Erskine Bowles, a Fix the Debt co-founder and board member of Fix the Debt's parent organization, the Peterson-funded CRFB, is best known for his co-chairmanship of the Simpson-Bowles Commission and for being Bill Clinton's chief of staff. Yet he has deep ties to the financial industry, which has lobbied heavily on tax issues and has created 10,000 subsidiaries worldwide in order to avoid taxes and regulation (with Morgan Stanley and JP Morgan Chase in the lead). UNDISCLOSED CONFLICT OF INTEREST: Bowles is currently on the board of Morgan Stanley, and has been since 2005. Morgan Stanley participated in many of the activities that led to the financial crisis and was given a backdoor bailout by the Federal Reserve that was worth billions of dollars. Bowles receives $345,000 a year from Morgan Stanley, though this is not noted on his Fix the Debt biography and is almost never mentioned in the media interviews he gives for Fix the Debt. He is also an adviser to BDT Capital partners, a Chicago-based investment banking services firm. Bowles was also on the board of directors of Merck — Merck's CEO, Kenneth Frazier, is on Fix the Debt's "CEO Council." — and of General Motors in the years preceding its federal government rescue, and is currently on Norfolk Southern's board — Norfolk Southern's CEO, Charles Moorman, is on Fix the Debt's "CEO Council," and Norfolk Southern lobbies on corporate tax issues and "supports reduction in the corporate tax rate" — and on Facebook's board (owns 20,000 restricted shares, which increased in value by $114,000 because of a deficit-enlarging tax loophole that he and Alan Simpson refuse to touch). Bowles' wife, Crandall C. Bowles, is on the executive committee of the board of directors of JP Morgan Chase, whose chief executive, Jamie Dimon, has said he is a "major backer" of Fix the Debt and would "do whatever it takes" to help the campaign. JPMorgan Chase lobbies on corporate tax issues and bank tax legislation. It is also a member of the Managed Funds Association (MFA) and American Bankers Association (ABA), which are lobbying against the financial speculation tax. Bowles' Morgan Stanley biography notes that "he has been a Senior Advisor to Carousel Capital, a private investment firm, since September 2001, and served as a Managing Director from March 1999 to September 2001." He was also a General Partner of Forstmann Little & Co., a private investment firm, from March 1999 to September 2001, and a former member of the board of directors of Wachovia, one of the big banks as was his wife. 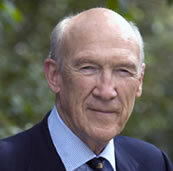 Alan Simpson, a Fix the Debt co-founder, is a former Wyoming senator (1979-1997) and sits on the CRFB's board of directors. A former chair of the Senate Finance Committee's subcommittee on Social Security, Simpson began a crusade against federal social programs as a member of the 1994 Bipartisan Commission on Entitlements and Tax Reform (Pete Peterson, then at Blackstone, was also a member of the commission). According to journalist Saul Friedman and consumer and medical affairs writer Trudy Lieberman, after the AARP weighed in to oppose Republican efforts to slash Social Security and Medicare, Simpson joined forces with the Scaife-funded Capital Research Center in an effort to destroy the organization and the labor-backed National Council of Senior Citizens (NCSC). Backed by right-wing groups, Simpson held hearings in April 1995 into AARP's finances and waged a relentless campaign against it. NCSC folded (it was eventually succeeded by the Alliance for Retired Americans). AARP's leadership was changed and public relations executive William Novelli, a Republican, took over, dramatically shifting the organization's direction and eventually backing George W. Bush's Part D drug program, which contributed to the deficit, and subsidies to Medicare Advantage, which have been called a giveaway to drug companies. "Those plans," writes Freidman, "then called Medicare Plus Choice, became the first wedge in the privatization of Medicare in 1997." The privatization scheme became part of the 1997 Balanced Budget Agreement, pushed through by Clinton administration chief of staff Erskine Bowles, who eventually co-chaired the Simpson-Bowles Commission with Simpson. Simpson, a former member of the boards of American Express Funds (now Ameriprise), Biogen, and Pacific Corporation, has also served on the BP America External Advisory Council. He also supported George W. Bush's Social Security privatization scheme. Maya MacGuineas spearheads the Fix the Debt campaign. She is the president of Fix the Debt's parent organization, the CRFB, which is a project of the Peterson-funded New America Foundation (NAF). Although she has garnered some impressive puff pieces from the mainstream media, she was dubbed "queen of the deficit scolds" by economist Paul Krugman and Social Security’s "most media friendly foe" by Salon. MacGuineas was the Social Security adviser for Republican John McCain's 2000 presidential campaign, and immediately thereafter went to NAF. She has advocated for the privatization of Social Security, along the lines that President George W. Bush pushed, as can be seen by this 2001 testimony and this PBS interview, a scheme that would have resulted in the collapse of the system had it been implemented prior to the Wall Street meltdown. UNDISCLOSED CONFLICT OF INTEREST: MacGuineas' husband Robin Brooks is a managing director and a currency trading analyst at Goldman Sachs, with a reported base salary of $500,000. Goldman Sachs lobbies around federal tax issues affecting banking and securities and is a member of the Managed Funds Association, which lobbies against the financial speculation tax. She has also worked at the Concord Coalition (co-founded and funded by Pete Peterson), at the Peterson Foundation-funded Brookings Institution, and on Wall Street (as an analyst at Paine Webber). Ed Rendell is a co-chairman of Fix the Debt. In media appearances, he is only introduced as the former Democratic governor of Pennsylvania (2003-2011), yet he has extensive corporate and financial ties. UNDISCLOSED CONFLICT OF INTEREST: Rendell lobbied for KCI USA, a wound care technology company, on Medicare and Medicaid reimbursements in 2012. Rendell is special counsel to the law firm Ballard Spahr -- which has been criticized as a union-busting law firm. -- where he focuses on privatization and housing, with an emphasis on infrastructure. Rendell is also a senior adviser at Greenhill & Co., a multinational investment bank. Ninety percent of Greenhill's revenue comes from advisory assignments, including to public officials. Rendell is a strong proponent of "public private partnerships" (PPPs) in infrastructure, which have been criticized as a dubious form of privatization of public assets. Rendell is also on the advisory board of Verdeva, a firm developing technology to track motorists at the gas pump so they can be taxed for infrastructure revenue, an industry-favored measure for developing the income streams they need to finance infrastructure deals. He has also joined the venture capital firm Element Partners as an operating partner. Element Partners recently invested in oil and gas extraction (fracking) from the Marcellus formation. David M. Cote is on Fix the Debt's steering committee. He is the chairman and CEO of Honeywell, with an annual compensation of $25.3 million in 2011. He is a former member of the Simpson-Bowles Commission (on its tax working group). He is perhaps the most prominent corporate public face of Fix the Debt, a ubiquitous presence in TV coverage of the campaign and in kicking off its PR and media blitz with Jeff Immelt of General Electric (GE) (Cote was at GE for 25 years), Larry Fink of BlackRock, and others. Honeywell paid an average negative tax rate of -.7 billion dollars from 2008 to 2010, according to Citizens for Tax Justice (CTJ), and underfunds its employee pension fund by -$2.764 million in 2011. The Institute for Policy Studies has estimated that Cote's personal savings from the Bush tax cuts are $2,529,490. UNDISCLOSED CONFLICTS OF INTEREST: Cote, a Republican, is a co-chair of the U.S.-India CEO Forum, sits on the board of JPMorgan Chase (with annual compensation of $245,000 in 2011). JPMorgan Chase is one of the nation's "too big to fail" banks, which played a major role in the financial crisis. JPMorgan Chase CEO Jamie Dimon has said he is a "major backer" of Fix the Debt and would "do whatever it takes" to help the campaign. JPMorgan Chase lobbies on corporate tax "reform" and bank tax legislation. It is also a member of the Managed Funds Association (MFA) and American Bankers Association (ABA), which are lobbying against the financial speculation tax. JPMorgan gave $924,799 to PACs in the 2012 election cycle, according to a report by Public Campaign. Cote is also a senior advisor to Kohlberg Kravis Roberts (KKR), the third largest private equity firm in the world, with $66 billion in assets under management. KKR lobbied on "tax issues affecting private equity firms and their portfolio companies, including tax reform" in the third quarter of 2012. Vic Fazio, another Fix the Debt steering committee member, is a lobbyist for the firm KKR uses, Akin Gump, and lobbied for KKR on these issues. Honeywell, a significant military contractor, spent $2.1 million on lobbying Congress and the Treasury Department in the third quarter of 2012 alone, including on "issues related to corporate tax reform, international taxation and repatriation." Beyond underfunding its pensions, Honeywell has also come under fire for its labor practices. Honeywell employees donated $5,908,226 to candidates in the 2012 election cycle, 61 percent of it going to Republicans. Phil Bredesen is on Fix the Debt's steering committee. As Democratic governor of Tennessee, he "presided over the largest state cutback of public health programs in the history of our nation," according to health care advocacy group FamiliesUSA. In 2004, Governor Bredesen did away with Tennessee's state health care program, TennCare, and reverted to standard Medicaid, eliminating coverage for 430,000 people, and imposted strict limits on prescription drugs and doctor visits, with no appeals. This resulted in budget surpluses. Bredesen is a former healthcare industry executive (he founded HealthAmerica Corporation, an insurance company, which he sold in 1986 for about $385 million). In January 2013, Bredesen admitted that Fix the Debt's strategy was to create an "artificial crisis" to achieve a "grand bargain" on Medicare and Social Security. UNDISCLOSED CONFLICT OF INTEREST: He is currently on the board of directors of Vanguard Health Systems, a $5 billion hospital chain, receiving an annual compensation of $240,005 in 2011. Vanguard lobbied on federal appropriations issues in the third quarter of 2012. Vanguard's biggest owner is the private equity firm Blackstone Group (Blackstone and its affiliates acquired Vanguard in 2004). Blackstone was co-founded by Fix the Debt funder Pete Peterson. Bredesen has been an investor in a number of healthcare companies in addition to HealthAmerica Corp., including Coventry Health Care (which was recently sold to Aetna for $5.6 billion), First Commonwealth, and Qualifacts Systems Inc. For a time Bredesen was being considered for Health and Human Services secretary in the first Obama administration, but lost out to Kathleen Sebelius. Responding to opposition to his potential appointment from national and Tennessee healthcare advocates, Bredesen told the Wall Street Journal, "advocacy groups don't matter nearly as much as the pharmaceutical groups, the hospitals, the doctors' groups. There's a lot of very powerful interest groups that will play in this thing." Bredesen is on the Governor's Council of the Bipartisan Policy Center, which received $400,000 from the Peter G. Peterson Foundation in 2011 to fund its Debt Reduction Task Force. Michael Bloomberg is a co-chairman of Fix the Debt. He is an Independent who has been New York City's 108th mayor since January 1, 2002. He founded Bloomberg, a powerful financial news and information company, in 1981. The company made $8 billion in profits in 2012. In 2012, Bloomberg, at an estimated personal net worth of $25.0 billion, ranked at #10 on the Forbes 400 list of billionaires in the United States and at #20 on the list of the world's billionaires. UNDISCLOSED CONFLICT OF INTEREST: From 2010 to 2012, Bloomberg LP spent $2.5 million lobbying on financial issues, a fact not disclosed in his Fix the Debt biography. Most of Bloomberg LP’s lobbyists previously held federal government jobs. His long-term partner is Diana L. Taylor, who is the state banking superintendent for the State of New York as well as a board member of Citigroup with an annual compensation of $316,250 in 2011, and of Brookfield Properties. Citigroup lobbies on corporate tax issues. Bloomberg has long been sympathetic to the deficit reduction crowd. In a March 2012 op-ed in the Wall Street Journal, Bloomberg complained about the President asking millionaires and billionaires to do more to fix the debt, calling it "class warfare," and he backed the $4 trillion Simpson-Bowles deficit reduction plan. He also expressed support for the expiration of Bush tax cuts for all income levels, which would have been a large hike in relative buying power for the poor and middle class. Bloomberg pushed the "No Budget, No Pay" bill stunt backed by Fix the Debt partner organization Comeback America Initiative, which passed the U.S. House in January 2013, but was promptly denounced as unconstitutional. In 2011, Bloomberg proposed his own $8 trillion deficit reduction plan that would entail steep cuts to Social Security, Medicare, and Medicaid, and also proposed to raise the retirement age. Judd Gregg is a co-chairman of Fix the Debt. As a Senator, Gregg was a member of the Simpson-Bowles Commission and voted for the blueprint produced by its chairs, although the commission as a whole did not endorse it. He is usually introduced as a "bipartisan"-minded Republican former Senator from New Hampshire (1993-2011), but Gregg maintains extensive ties with the finance industry, which has lobbied vigorously for tax breaks and for sharply lowering the rate at which it can repatriate profits held abroad. UNDISCLOSED CONFLICTS OF INTEREST: Gregg is a director of Honeywell, for which he received $401,514 in compensation in 2011 (see David Cote above); an international adviser to Goldman Sachs (compensation not publicly disclosed); a senior adviser to private equity firm New Mountain Capital; a director of Intercontinental Exchange Inc. (ICE) ($334,886 in annual compensation in 2011), which operates internet-based over-the-counter energy and commodities markets; and a director of Stroz Friedberg (a U.K.-based private security and risk management company). Goldman Sachs, to which Gregg is an international adviser, lobbies around federal tax issues affecting banking and securities and is a member of the Managed Funds Association, which is lobbying against the financial speculation tax, a proposed tax on Wall Street that could raise $1 trillion for deficit reduction. Honeywell lobbies on defense spending, tax, and federal budget and appropriations issues, having spent a combined $7.12 million on lobbying in 2012. The company noted in its 2012 Form 10-K Annual Report that change in government defense funding could adversely impact its sales. ICE noted in its 2012 Form 10-K Annual Report that the financial speculation tax, would reduce trading volume and curtail its profits. Vic Fazio is on Fix the Debt's steering committee. He is a former member of Congress (1979-1999) who works as a corporate lobbyist. He has lobbied for AT&T, Corrections Corporation of America, Archer Daniels Midland, Shell Oil, Blumberg Capital, the Private Equity Growth Capital Council, Dow Chemical, the U.S. Chamber of Commerce Institute for Legal Reform, and Waste Management. UNDISCLOSED CONFLICTS OF INTEREST: Fazio works for Akin Gump, where he has lobbied against HR 2834, Rep. Sander Levin's bill to tax private equity and hedge fund income at higher regular rates rather than at the 20 percent capital gains rate. The finance industry has fiercely fought this effort, despite its vague commitment to raising "revenue" in campaigns such as Fix the Debt. In this tax rate battle, Fazio has represented the Private Equity Growth Capital Council and the private equity firm Kohlberg Kravis Roberts (KKR). Fazio is also on the board of directors of Northrop Grumman (annual compensation of $304,347 in 2011), a major defense contractor, member of Fix the Debt, and funder of the American Legislative Exchange Council (ALEC) that would benefit from the corporate tax rate cut proposed by Fix the Debt; of insurance company W. R. Berkley Corporation's Peyton Street Independent Financial Services; and of Fix the Debt's parent organization, the Peterson-funded Committee for a Responsible Federal Budget (CRFB). Northrop Grumman received $8.6 billion in Department of Defense contracts in 2012, making it the fifth largest defense contractor that year. It lobbied on defense spending and tax credit issues in the third quarter of 2012. James B. Lee, Jr., who was added to the Fix the Debt steering committee list after the original list was announced, is on the executive committee of JPMorgan Chase & Co. JPMorgan Chase is one of the nation's "too big to fail" banks, which played a major role in the 2008 financial crisis. Lee, an ardent Republican and Chase's top dealmaker, led the negotiations over the Federal government's bailout of Chrysler on behalf of the auto company's creditors, and demanded that taxpayers pay 100 cents on the dollar "and not a penny less" to the private debtors, before being backed off when President Obama called his bluff and threatened to walk away and leave the company for bankruptcy or liquidation. UNDISCLOSED CONFLICT OF INTEREST: The Institute for Policy Studies has estimated that JP Morgan Chase has potential tax savings of $4.9 billion if Fix the Debt's proposal to radically cut the tax rate on repatriated foreign earnings were put into effect. JPMorgan Chase has paid Fix the Debt communications consultants The Glover Park Group $210,000 in 2011-2012 to lobby Congress on its behalf on financial issues. JPMorgan gave $924,799 to PACs in the 2012 election cycle, according to a report by Public Campaign. Lee himself gave $70,800 to PACs during the same period and $22,500 to individual candidates for federal office ($18,500 -- or 82 percent -- to Republicans). In the 2008 presidential election, Lee was a bundler for Republican John McCain, raising over $500,000, and he and his family contributed $114,634 to all federal candidates, parties, and PACs in the same election cycle. Lee is also on the board of directors of the U.S. Chamber of Commerce, which has demanded that the president find budget savings by cutting back benefits rather than raising taxes on the wealthy. Jim McCrery is on Fix the Debt's steering committee. He is a Republican former member of the House (1988-2009). UNDISCLOSED CONFLICT OF INTEREST: McCrery has been a frontline lobbyist for General Electric (GE) on "deferral of overseas income, bank tax, corporate tax and tax reform." 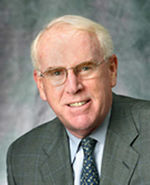 GE Chairman and CEO Jeffrey Immelt is on Fix the Debt's CEO Council, and Sam Nunn (see below) has been a member of GE's board of directors since 1997. McCrery's Capitol Counsel LLC lobbying group was paid $150,000 by GE to lobby on deferral of overseas income, bank tax, corporate tax, and tax reform in the third quarter of 2012, just as Fix the Debt was taking off. Capitol Counsel was paid an additional $420,000 in 2011 and 2012 to lobby for corporate tax repatriation legislation by the so-called Win America Campaign, a corporate lobbying group of Fortune 500 high tech, pharma, and energy companies (including Microsoft, Pfizer and Oracle) that is pushing for a tax holiday on over $1 trillion in foreign profits. Capital Counsel also lobbied on behalf of many other corporations and organizations on budget-related matters including: Blue Cross Blue Shield -- taxation of Blue Cross organizations and of health and life insurers; CIT Group -- financial services and tax issues; Freeport McMoran Copper & Gold -- tax issues; Reynolds American -- tax proposals on tobacco industry; PhRMA -- pharmaceutical tax and health care; and Rio Tinto Group -- tax issues. In addition, McCrery has lobbied for the Alliance for Savings and Investment, the American Bankers Association, American Health Care Association, American Petroleum Institute, Caesar's Entertainment, Cardinal Health, Chevron, Geo Care (privatized prison healthcare), Hilton, the National Association of Real Estate Investment Trusts, Pete Peterson's Blackstone Group, W.R. Berkley (see above) and Walmart. None of these extensive corporate ties and interests are disclosed in his Fix the Debt biography. Sam Nunn is on Fix the Debt's steering committee. He was the longtime chair of the Senate Armed Services Committee (1987–1995). He is Co-Chairman and Chief Executive of the Nuclear Threat Initiative (NTI), an organization working to reduce global threats from nuclear, biological, and chemical weapons. UNDISCLOSED CONFLICT OF INTEREST: Since Nunn left the Senate in 1997, he has been on the board of directors of General Electric, a significant military contractor, with an annual compensation of $312,793 in 2011. In addition to the issues mentioned above, GE also lobbied against a "bank tax and Robin Hood Tax" (a proposed tax on Wall Street financial speculation that could raise $1 trillion for deficit reduction), and on corporate tax rates, taxes on international operations, housing, energy, and transportation appropriations in the third quarter of 2012. Nunn is also tied to other companies that would benefit from Fix the Debt's corporate tax-cutting proposals, including Coca Cola (board of directors, $212,977 annual compensation in 2011), the venture capital firm RRE Ventures LLC (senior advisor), Chevron (board member from 1997-2011), Dell computers (board member from 1999-2011), and the Hess Corporation (currently on the board of directors, compensation figures not yet available, but directors made between $250,000 and $300,000 in 2011). Nunn is also chair of the board at the Center for Strategic and International Studies in Washington, DC. A CSIS project, Strengthening of America, (on whose steering committee Jim Nussle sits (see below)) is a partner organization of Fix the Debt. It has been backed by the Concord Coalition, a deficit initiative co-founded by Nunn and Pete Peterson in 1992. Peterson's foundation gave the Concord Coalition, which Nunn chairs, $6,036,060 from 2009-2012. Jim Nussle is on Fix the Debt's steering committee. He is a former Republican member of Congress from Iowa (1991-2007). He was Director of George W. Bush's Office of Management and Budget for a little over a year. After leaving the Bush administration, he went on to form a lobbying and media consulting group, the Nussle Group. UNDISCLOSED CONFLICTS OF INTEREST: He is on the board of Avista Capital Partners, a $4 billion private equity firm with investments in energy (including shale-based natural gas fracking in the Marcellus formation) and healthcare. Avista Capital has joined the Private Equity Growth Capital Council (PEGCC), trade group that is fighting efforts to raise the tax rate on "carried interest." Vic Fazio (see above) is a key lobbyist for the group. Other PEGCC members include the Blackstone Group (co-founded by Pete Peterson), Kohlberg Kravis Roberts (KKR) and Apollo Global Management. Nussle is also president and CEO of Growth Energy, a pro-ethanol trade association that has pushed for federal ethanol tax breaks, and for which the Nussle Group has lobbied. While in Congress, Nussle voted to end the moratoria on offshore drilling and for drilling in the Arctic National Wildlife Refuge, and strongly favored privatizing Social Security, which earned him a zero percent rating from the Alliance for Retired Americans. Nussle Group has also lobbied for Fix the Debt firm Verizon. He is now co-chair of the Committee for a Responsible Federal Budget (CRFB), the Pete Peterson-funded parent organization of Fix the Debt. Michael A. Peterson is on Fix the Debt's steering committee. He is the son of Peter G. Peterson. He is the president and chief operating officer of the Peter G. Peterson Foundation, which has given millions since it was founded in 2008 to a broad network of organizations and initiatives seeking radical cutbacks to America's social safety net. Michael Peterson is also the president and co-founder of GPX Enterprises, a Philadelphia-based private equity firm. In 2010, GPX's executive chairman and co-founder, tech investor Thomas J. Gravina, invited deficit scold and former president of the Peter G. Peterson Foundation, David M. Walker, to his home to raise support among Philadelphia millionaires for a campaign to cut back on Social Security and Medicare eligibility. Steven Rattner is on Fix the Debt's steering committee. He is a former investment banker for two decades at Lehman Brothers, Lazard Freres and Morgan Stanley. Rattner was the Treasury Department's point man on the 2009 bailout of the auto industry by the Obama administration. He is on the board of the New America Foundation, the Pete Peterson-funded parent organization of Fix the Debt and the Committee for a Responsible Federal Budget (CRFB). Rattner is also chairman of Willett Advisors LLC, the investment arm for New York Mayor Michael Bloomberg's $25 billion in assets. In 2010, Rattner reached a deal with the Securities and Exchange Commission in which he was banned from the securities industry for two years and required to pay $6.2 million for his involvement in a pension fund kickback scheme between his company, the Quadrangle Group, and New York State's $125 billion public pension fund. "Rattner delivered special favors and conducted sham transactions that corrupted the retirement fund's investment process," David Rosenfeld, the associate director of the U.S. Securities and Exchange Commission's regional office in New York, said at the time of the settlement. Alice Rivlin is on Fix the Debt's steering committee. She is best known for her role as budget director in the Clinton administration (1994-1996). She has deep ties to the finance industry and to budget austerity advocacy groups funded by Pete Peterson. A former vice chair of the Federal Reserve Board (1996-1999), Rivlin has served on the board of directors of the global consulting firm BearingPoint (2001-2006), The Washington Post Co. (2002-2006), the New York Stock Exchange (2005-2006), the NYSE Group (2006-2007), and NYSE Euronext (2007-2009). Rivlin, who is on the board of Fix the Debt's parent organization, the Pete Peterson-funded Committee for a Responsible Federal Budget (CRFB), was also a member of the Simpson-Bowles Commission (on its discretionary and mandatory spending working group), where she voted for Simpson and Bowles' recommended $200 billion annual cuts in discretionary spending, raising of the Social Security retirement age, cutting the federal workforce by ten percent, and reducing federal pensions and student loan subsidies. Rivlin also co-chaired the Debt Reduction Task Force with Pete Domenici at the Peterson-funded Bipartisan Policy Center, a precursor to the Simpson-Bowles Commission. Rivlin also backed a proposal to voucherize Medicare, though she objected to Republican vice presidential candidate Paul Ryan's claim that his privatization proposal had her backing, since Rivlin had not agreed with Ryan's proposal on how much vouchers would be worth and wanted to keep the current delivery system as an option for seniors. Under the Ryan-Rivlin plan, the CBO stated, "voucher recipients would probably have to purchase less extensive coverage or pay higher premiums," and "future beneficiaries would probably face higher premiums in the private market for a package of benefits similar to that currently provided by Medicare." Scott Smith, a Republican who has been Mesa, Arizona's 38th mayor since June 2, 2008, is on Fix the Debt's steering committee. Since he took office, Mesa has cut its government by nearly 20 percent. He was Vice President of the United States Conference of Mayors (USCM) in 2011-2012 and is slated to be President of the group in 2013-2014. In a 2011 interview in the Washington Post, Smith said, "I’m a conservative Republican, and I believe . . . [creating a prosperous America is] best achieved through a limited government, low regulations, and low taxation." However, he also signed onto an October 2012 letter from the USCM urging the federal government to reduce the deficit without additional discretionary spending cuts. Smith was part of a mayor delegation that urged President Obama and Congress to maintain tax breaks for investors in the $3.7 trillion municipal-bond market. He is a member of "Building America's Future," a bipartisan coalition of elected officials led by fellow Fix the Debt leaders Michael Bloomberg and Ed Rendell along with former California Governor Arnold Schwarzenegger. Antonio Villaraigosa, a Democrat who has been Los Angeles' 41st mayor since July 1, 2005, is on Fix the Debt's steering committee. He was President of the United States Conference of Mayors in 2011-2012. He has previously been the Democratic leader and Speaker of the California State Assembly and a member of the Los Angeles City Council. He was also Chairman of the 2012 Democratic National Convention in September 2012. In the past, he was a union organizer for the Service Employees International Union and United Teachers Los Angeles, and then President of the Los Angeles chapter of the American Civil Liberties Union and the American Federation of Government Employees. In a statement about his controversial support of Fix the Debt (which he has been asked to drop, in a petition bearing more than 20,000 signatures as of December 11, 2012), he said, "I believe we can -- and must -- reform Social Security and Medicare as part of a balanced approach to the nation’s fiscal challenges. These reforms are needed to strengthen our essential entitlement programs for generations to come." Robert Zoellick is on Fix the Debt's steering committee. He has previously served as the U.S. trade representative, deputy Secretary of State, president of the World Bank, and vice chairman of Goldman Sachs (2006-2007). As U.S. trade representative contributed to the offshoring of U.S. jobs and the race to the bottom in wages for American workers, Zoellick played a key role in the passage of the Central American Free Trade Agreement, the U.S.-Vietnam Free Trade Agreement, the Jordan Free Trade Agreement, and the restoration of "fast-track" negotiating authority via the Trade Act of 2002. He was also a top U.S. negotiator during the General Agreement on Tariffs and Trade (GATT) negotiations that lead to the formation of the World Trade Organization (WTO). Zoellick is now a Distinguished Visiting Fellow at the Peter G. Peterson Institute for International Economics, which received $765,000 from Peterson's foundation from 2009-2011. The Peterson Institute's board is stacked with current and former Fortune 500 CEOs from companies that would benefit from Fix the Debt's proposed lowering of corporate tax rates and sharp lowering of taxes on repatriated profits. ↑ Fix the Debt, Who We Are, organizational website, accessed December 2012. ↑ 2.00 2.01 2.02 2.03 2.04 2.05 2.06 2.07 2.08 2.09 2.10 2.11 2.12 2.13 2.14 2.15 2.16 2.17 2.18 Fix the Debt, CEO Fiscal Leadership Council, organizational document, accessed January 2013. ↑ Committee for a Responsible Federal Budget, About Us: Board, organizational website, accessed February 2013. ↑ Lynn Hume, Industry Groups Spend Millions on Lobbying; States & Locals Not So Much, The Bond Buyer, October 15, 2012. ↑ Yalman Onaran, U.S. Banks Spawn 10,000 Units Worldwide to Cut Taxes, Bloomberg BusinessWeek, July 23, 2012. ↑ Morgan Stanley, Morgan Stanley Corporate Governance, organizational website, accessed January 1, 2013. ↑ Center for Media and Democracy's Real Economy Project, Total Wall Street Bailout Cost, SourceWatch.org, accessed February 2013. ↑ Morgan Stanley, Schedule 14A Proxy Statement, Securities and Exchange Commission corporate filing, April 5, 2012. ↑ Center for Economic and Policy Research, Why Is It Relevant That EPI Gets Money from Teacher Unions, But It's Not Relevant That Erskine Bowles Gets $350,000 a Year from Morgan Stanley?, June 28, 2011. ↑ Jeff Green, GM Director Bowles Is Said to Offer His Resignation, Bloomberg, April 2, 2009. ↑ Norfolk Southern, Norfolk Southern Corporate Profile, organizational website, accessed January 1, 2013. ↑ Norfolk Southern Corporation, Lobbying Report, corporate lobbying report with U.S. Congress, July 1 - September 30, 2012. ↑ Facebook, "Board of Directors", organizational website, accessed January 1, 2013. ↑ Facebook, Inc., Form S-1 Prospectus, corporate filing with the U.S. Securities and Exchange Commission, February 1, 2012. ↑ Zaid Jilani, ERSKINE BOWLES PERSONALLY MADE $114,000 FROM FACEBOOK TAX LOOPHOLE HE DOESN’T WANT TO CLOSE, Progressive Change Campaign Committee blog, February 22, 2013. ↑ 18.0 18.1 JP Morgan Chase, Board of Directors, organizational website, accessed January 1, 2013. ↑ Zachary A. Goldfarb, CEOs warn Obama, Congress to avoid "fiscal cliff," The Washington Post, October 18, 2012. ↑ J.P. Morgan Chase Bank, Lobbying Report, corporate lobbying report with U.S. Congress, July 1 - September 30, 2012. ↑ K&L Gates LLP, Lobbying Report, lobbying firm lobbying report with U.S. Congress for work on behalf of JPMorgan Chase, January 1 - March 31, 2012. ↑ American Bankers Association, Lobbying Report, trade association lobbying report to U.S. Congress, July 1 - September 30, 2012. ↑ Managed Funds Association, Lobbying Report, trade association lobbying report to U.S. Congress, July 1 - September 30, 2012. ↑ Jay McIneryney, Other People's Money, New York Magazine, May 21, 2005. ↑ Dean Baler and Eric Hoyt, The Erskine Bowles Stock Index, Center for Economic and Policy Research, September 4, 2012. ↑ Saul Friedman, Gray Matters: A Reach Too Far--Who is Alan Simpson?, Huffington Post, February 27, 2010. ↑ Barbara Dreyfuss, The Seduction, The American Prospect, May 12, 2004. ↑ AARP, Home Page, organizational website, accessed January 1, 2013. ↑ Paul Krugman, Maya and the Vigilantes, New York Times, December 22, 2012. ↑ David Sirota, Social Security’s Most Media-Friendly Foe, Salon, December 3, 2012. ↑ New America Foundation, [www.ssa.gov/history/reports/pcsss/MacGuineas_Testimony.pdf Testimony of Maya MacGuineas], organizational document, testimony from the President's Commission to Strengthen Social Security on October 18, 2001. ↑ Margaret Warner, Social Security as a Theme in the Presidential Campaign, PBS NewsHour, October 19, 2004. ↑ Susanne Craig, Goldman Names Managing Directors, New York Times, November 18, 2011. ↑ American Bankers Association, Lobbying Report, trade association lobbying report with U.S. Congress, July 1 - September 30, 2012. ↑ Managed Funds Association, Lobbying Report, trade association lobbying report with U.S. Congress, July 1 - September 30, 2012. ↑ The Center for Public Integrity, Party machines, lobbyists and special interests: Part one, April 11, 2011. ↑ The Committee for a Responsible Federal Budget, [http://crfb.org/biography/maya-macguineas-0 Maya MacGuineas Bio", organizational website, accessed January 1, 2013. 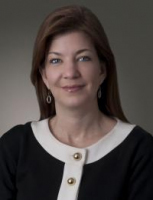 ↑ Liz Moyer, Growing Greenhill Faces Pay Puzzle, The Wall Street Journal, April 26, 2011. ↑ U.S. PIRG, Road Privatization, report, released September 6, 2007. ↑ Verdeva, Former Governor Ed Rendell Joins Verdeva Advisory Board, company press release, October 2, 2012. ↑ Element Partners, Pennsylvania Governor Edward G. Rendell Joins Element as Operating Partner, press release, April 25, 2011. ↑ Peter Kay, Radnor fund invests in three Marcellus-focused firms, Philadelphia Business Journal, May 22, 2012. ↑ Julia Edwards, Business Leaders Urge Obama to Avoid Fiscal Cliff, National Journal, November 14, 2012. ↑ The Committee for a Responsible Federal Budget, Simpson and Bowles Preview "Fix the Debt" Campaign, CNBC video linked on organizational website, accessed January 1, 2013. ↑ Citizens for Tax Justice (CTJ), Corporate Taxpayers & Corporate Tax Dodgers 2008-10, organizational report, November 2011. ↑ Honeywell, SEC Form 10-K Annual Report, annual corporate filing with the Securities and Exchange Commission, February 17, 2012, p. 98. ↑ Institute for Policy Studies, [www.ips-dc.org/files/5507/IPS-CEO-Campaign-to-Fix-the-Debt-report.pdf The CEO Campaign to "Fix" the Debt: A Trojan Horse for Massive Corporate Tax Breaks], report released November 13, 2012. ↑ Public Campaign, Un-Shared Sacrifice: How 'Fix the Debt' Companies Buy Washington Influence & Rig the Game, organizational report, November 19, 2012, p. 3. ↑ Private Equity International, The PEI 300: Top 50, organizational website, accessed January 1, 2013. ↑ MSN Money, KKR to Present at the Goldman Sachs US Financial Services Conference 2012, November 20, 2012. ↑ Akin Gump Strauss Hauer & Feld, Lobbying Report, lobbying firm lobbying report filed with U.S. Congress on behalf of client KKR, July 1 - September 30, 2012. ↑ Honeywell, 2011 Form 10-K, corporate filing with the U.S. Securities and Exchange Commission, February 17, 2012. ↑ Mike Elk, In Leaked Docs, Honeywell Cites Obama Ties As Key to Anti-Union Strategy, In These Times, November 16, 2012. ↑ Center for Responsive Politics, Honeywell International Summary, OpenSecrets website, accessed January 1, 2013. ↑ Jonathan Cohn, More Reasons Why Bredesen Is A Bad, Bad Idea, The New Republic, February 5, 2009. ↑ Families USA, Unwilling Volunteers: Tennesseans out of Health Care, organizational website, accessed January 1, 2013. ↑ Tennessee: Gov. Phil Bredesen (D), National Journal Almanac, accessed January 2013. ↑ Chas Sisk, Gov. Phil Bredesen Calls for 'Artificial Crisis' on the Debt, Tenneseean, January 29, 2013. ↑ Vanguard Health Systems, Bredesen Biography, organizational website, accessed January 1, 2013. ↑ Vanguard Health Systems, Inc., Schedule 14A Proxy Statement, corporate Securities and Exchange Commission filing, October 19, 2012, p. 55. ↑ Capitol Health Group, LLC, Lobbying Report, lobbying firm lobbying report filed with U.S. Congress on client Vanguard Health Systems, July 1 - September 30, 2012. ↑ Vanguard Health Systems, Inc. Major Holders, Yahoo! Finance, accessed January 2013. ↑ #109 Vanguard Health Systems, "America's Largest Private Companies," Forbes, 2010. ↑ Peter G. Peterson Foundation, Peter G. Peterson, Founder and Chairman, organizational website, accessed January 2013. ↑ Kevin Rector, Coventry Health Care To Pay $3 Million To Avoid Prosecution in Medicare Case, The Hartford Courant, November 21, 2012. ↑ Laura Meckler, HHS Candidate Draws Fire, Fights Back, The Wall Street Journal, February 10, 2009. ↑ Peter G. Peterson Foundation, Bipartisan Policy Center, Inc., organizational website, accessed January 1, 2013. ↑ Aaron Mehta, The big battle over overseas profit, Politico, October 23, 2011. ↑ Honeywell, Judd Gregg Biography, organizational website, accessed January 1, 2013. ↑ Honeywell International, Schedule 14A Proxy Statement, corporate Securities and Exchange Commission filing, March 8, 2012, p. 15. ↑ Goldman Sachs, Judd Gregg to Serve as International Advisor to Goldman Sachs, press release, May 27, 2011. ↑ New Mountain Capital, Our Team, organizational website, accessed January 1, 2013. ↑ Intercontinental Exchange, Board of Directors, organizational website, accessed January 1, 2013. ↑ IntercontinentalExchange, Schedule 14A Proxy Statement, corporate Securities and Exchange Commission filing, March 30, 2012, p. 45. ↑ Stroz Friedberg, Former U.S. 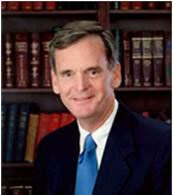 Senator Judd Gregg Joins Stroz Friedberg Board of Directors, press release, August 30, 2011. ↑ Honeywell International, Lobbying Report and Supplemental Lobbying Report, corporate lobbying reports filed with U.S. Congress, July 1 - September 30, 2012. ↑ FifeStrategies, LLC, Lobbying Report, corporate lobbying report filed with U.S. Congress on behalf of client Honeywell International, July 1 - September 30, 2012. ↑ Center for Responsive Politics, Lobbying: Honeywell International: Summary 2012, OpenSecrets.org lobbying database, accessed February 2013. ↑ Honeywell International, Form 10-K Annual Report, corporate Securities and Exchange Commission filing, February 17, 2012, p. 16. ↑ Intercontinental Exchange, Form 10-K Annual Report, corporate Securities and Exchange Commission filing, February 8, 2012, p. 34. ↑ Center for Responsive Politics, Fazio, Vic Lobbyist Profile: Summary, 2012, OpenSecrets.org lobbying database, accessed February 2013. ↑ Northrop Grumman, Vic Fazio, organizational website, accessed January 1, 2013. ↑ Barr Group Aerospace, Top-100 Defense Contractors: U.S. Department of Defense Fiscal Year 2012, private consulting firm website, accessed January 2013. ↑ JPMorgan Chase & Co, Executive Committee, organizational website, accessed January 1, 2013. ↑ Andrew Ross Sorkin, Romney's Run Puts a Spotlight on Private Equity, New York Times, December 12, 2011. ↑ Neil King Jr. and Jeffrey McCracken, U.S. Forced Chrysler's Creditors to Blink, The Wall Street Journal, May 11, 2009. ↑ Institute for Policy Studies, [www.ips-dc.org/files/5507/IPS-CEO-Campaign-to-Fix-the-Debt-report.pdf The CEO Campaign to 'Fix' the Debt: A Trojan Horse for Massive Corporate Tax Breaks], report released November 13, 2012. ↑ Center for Responsive Politics, Contributors: James Lee, OpenSecrets.org campaign finance database, accessed February 2013. ↑ Center for Responsive Politics, Bundlers: John McCain (R), OpenSecrets.org campaign finance database, accessed February 2013. ↑ U.S. Chamber of Commerce, http://www.uschamber.com/issues/letters/2012/multi-industy-letter-financially-sustainable-national-entitlement-programs Multi-Industry Letter for Financially Sustainable National Entitlement Programs], letter to Congress, November 14, 2012. ↑ Capital Counsel LLC, Lobbying Report, lobbying firm lobbying report filed with U.S. Congress for client General Electric Company, July 1 - September 30, 2012. ↑ Win America Campaign, Home Page, organizational website, accessed January 1, 2013. ↑ Capital Counsel LLC, Lobbying Report, lobbying firm lobbying report filed with U.S. Congress for client Win America Campaign, January 1 - March 31, 2012. ↑ Capital Counsel LLC, Lobbying Report, lobbying firm lobbying report filed with U.S. Congress for client Health Care Service Corporation, July 1 - September 30, 2012. ↑ Capital Counsel LLC, Lobbying Report, lobbying firm lobbying report filed with U.S. Congress for client CIT Group (NJ) LCC, July 1 - September 30, 2012. ↑ Capital Counsel LLC, Lobbying Report, lobbying firm lobbying report filed with U.S. Congress for client Freeport-McMoRan Copper & Gold, Inc., July 1 - September 30, 2012. ↑ Capitol Counsel LLC, Lobbying Report, lobbying firm lobbying report filed with U.S. Congress for client Reynolds American, Inc., July 1 - September 30, 2012. ↑ Capital Counsel LLC, Lobbying Report, lobbying firm lobbying report filed with U.S. Congress for client Pharmaceutical Research and Manufacturers of America (PhRMA), July 1 - September 30, 2012. ↑ Capitol Counsel LLC, Lobbying Report, lobbying firm lobbying report filed with U.S. Congress for client Rio Tinto Services Inc., July 1 - September 30, 2012. ↑ General Electric, Board of Directors, organizational website, accessed January 1, 2013. ↑ Adam Weinstein, GE's $3 Billion Pentagon Boondoggle, Mother Jones, April 25, 2011. ↑ General Electric, Schedule 14A Proxy Statement, corporate Securities and Exchange Commission filing, February 27, 2012, p. 13. ↑ General Electric Company, Lobbying Report, corporate lobbying report filed with U.S. Congress, July 1 - September 30, 2012. ↑ The Coca Cola Company, Schedule 14A Proxy Statement, corporate Securities and Exchange Commission filing, March 8, 2012, p. 26. ↑ Coca-Cola Company, Board of Directors: Sam Nunn, organizational website, accessed January 1, 2013. ↑ RRE Ventures, Senior Advisors, organizational website, accessed January 1, 2013. ↑ Hess Corporation, Schedule 14A Proxy Statement, corporate Securities and Exchange Commission filing, March 23, 2012, p. 43. ↑ Hess Corporation, Hess Corporation Investor Relations - Leadership, organizational website, accessed January 1, 2013. ↑ Center for Strategic & International Studies, Strengthening of America - Our Children's Future, organizational website, accessed January 1, 2013. ↑ The Concord Coalition, Sam Nunn, organizational website, accessed January 1, 2013. ↑ The Concord Coalition, Peter G. Peterson, organizational website, accessed January 1, 2013. ↑ Avista Capital Partners, Current Investments, organizational website, accessed January 1, 2013. ↑ William McConnell, Private equity group gives itself a makeover, The Deal Pipeline, September 15, 2010. ↑ 144.0 144.1 Devin Banerjee, Rubenstein Sees Carried Interest on Table Post Election, Bloomberg Businessweek, November 8, 2012. ↑ Growth Energy, Inc., Lobbying Report, corporate lobbying report filed with U.S. Congress, July 1 - September 30, 2012. ↑ On The Issues, Jim Nussle On the Issues, organizational website, accessed January 1, 2013. ↑ GPX Enterprises, Thomas J. Gravina, Executive Chairman & Co-Founder, organizational website, accessed January 1, 2013. ↑ Joseph N. DiStefano, PhillyDeals: Social Security activists appeals to Philly millionaires, The Philadelphia Inquirer, June 17, 2010. ↑ Forbes, Michael Bloomberg Profile, accessed January 1, 2013. ↑ Joshua Gallu, Karen Freifeld, and Bob Van Voris, SEC Settles With Steven Rattner Over Kickbacks; Cuomo Files New Lawsuits, Bloomberg, November 18, 2010. ↑ Ezra Klein, Rivlin: "I don't support the version of Medicare premium support in the Ryan plan," The Washington Post, April 6, 2011. ↑ Meredith Shiner, Alice Rivlin: "I don't back 'Ryan-Rivlin' plan," Politico, April 5, 2011. ↑ Congressional Budget Office, Preliminary ANalysis of the Rivlin-Ryan Health Care Proposal, organizational document, November 17, 2010. ↑ 160.0 160.1 City of Los Angeles, Biography of Mayor Antonio Villaraigosa, official city government website, accessed January 2013. ↑ Mark Z. Barabak and John Hoeffel, Villaraigosa will chair Democratic National Convention, Los Angeles Times, February 14, 2012. ↑ Frank Stoltze, Los Angeles Mayor Antonio Villaraigosa under fire for "Fix the Debt" association, 89.33 KPCC Southern California Public Radio, December 12, 2012. ↑ Peter G. Peterson Foundation, Peterson Institute for International Economics, organizational website, accessed January 1, 2013. ↑ Peterson Institute for International Economics, Board of Directors, organizational website, accessed January 1, 2013. This page was last edited on 27 September 2017, at 23:33.